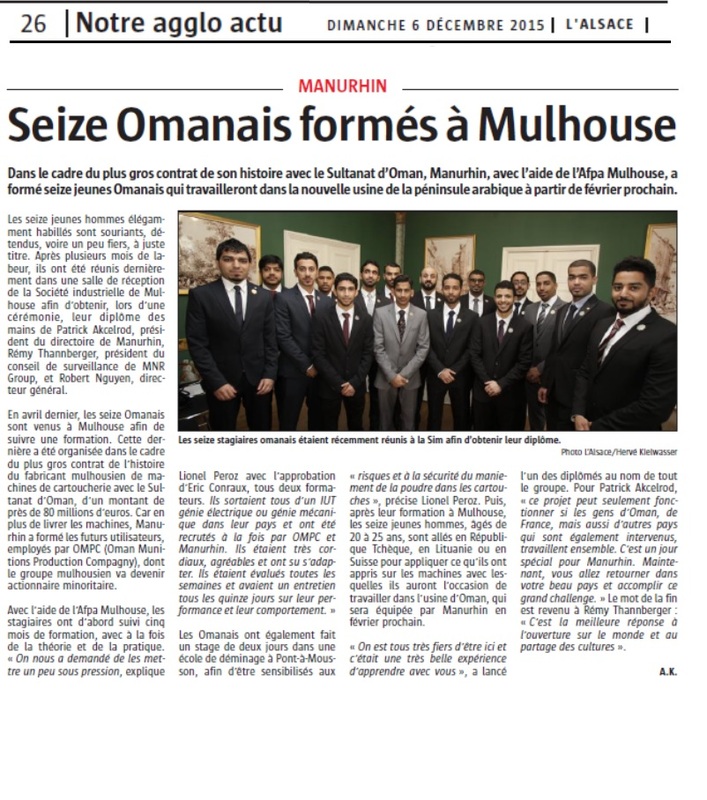 In the framework of the most important contract ever signed by Manurhin, with the Sultanate of Oman, a delegation of Omani workers was trained by Manurhin and the AFPA (Association for the training of young adults and professionals). The 16 young workers were duly rewarded after their 5 months training on Manurhin machines and processes. Let us remind that the Oman plant should be operational next February. As Rémy Thannberger, Chairman of the supervisory board, put it, such a partnership proves that openness to the world and sharing cultures is the best answer.